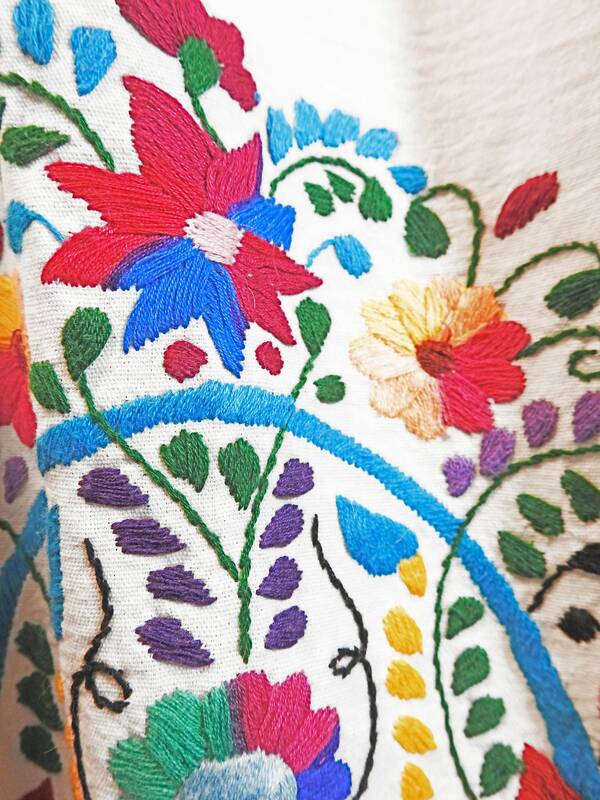 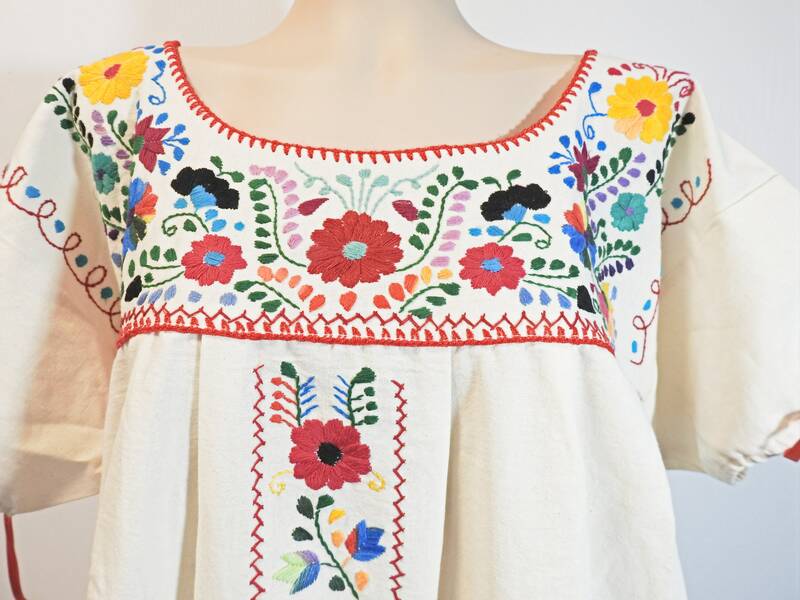 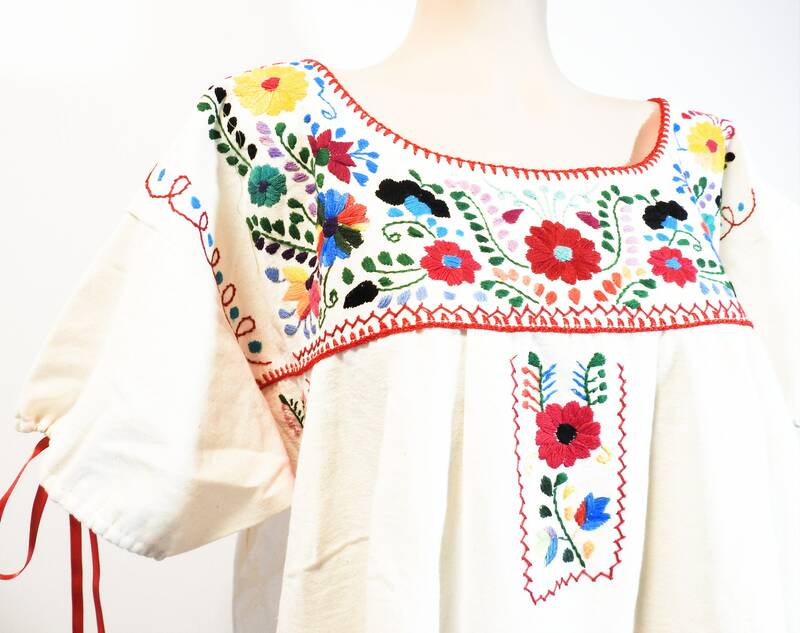 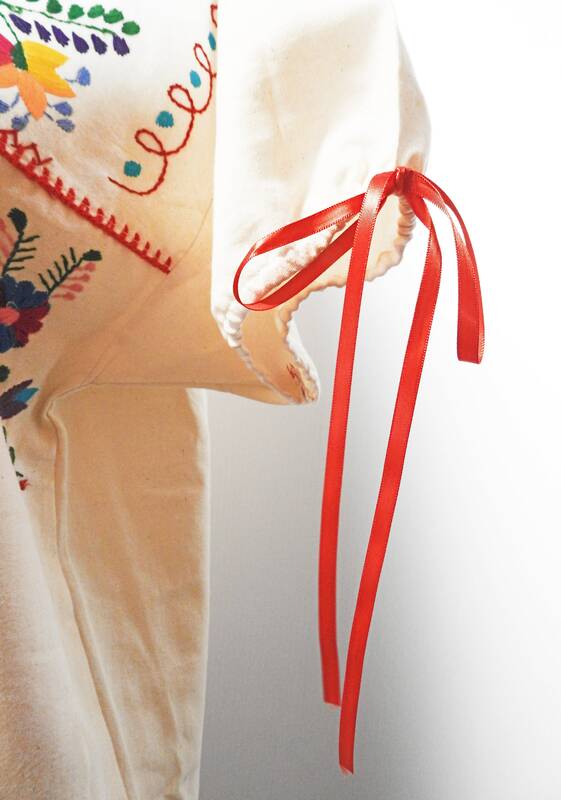 - Hand embroidery in Mexico, embellished in Canada. 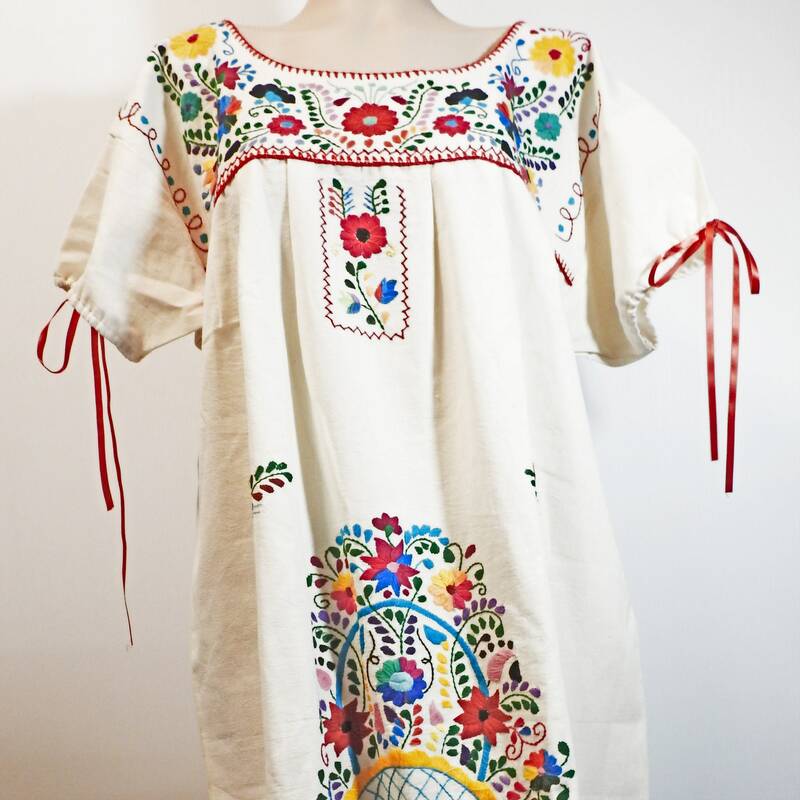 - Style: Boho&Hippie, Puebla dress. 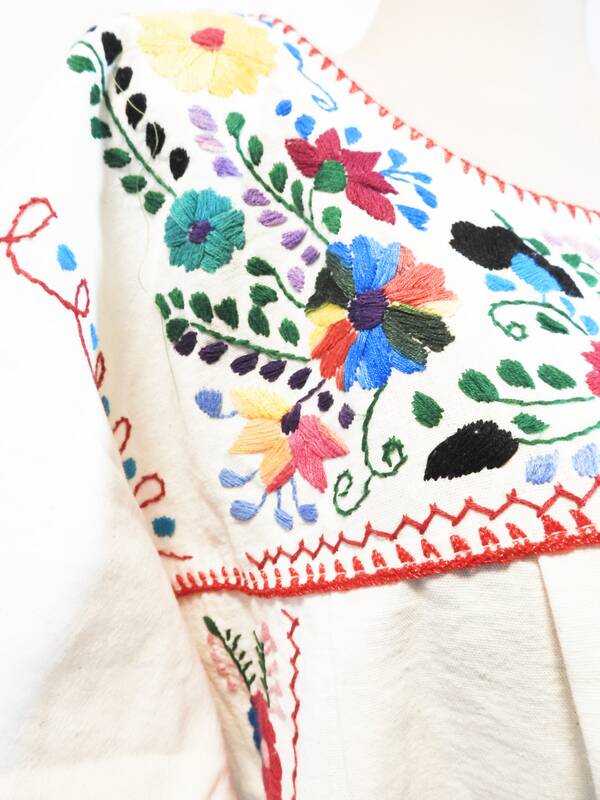 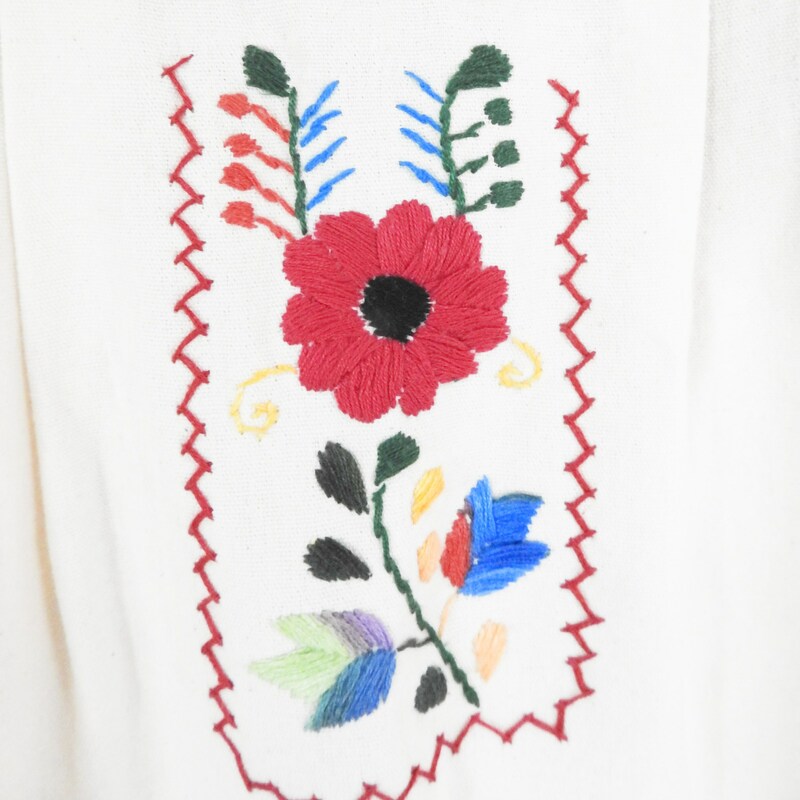 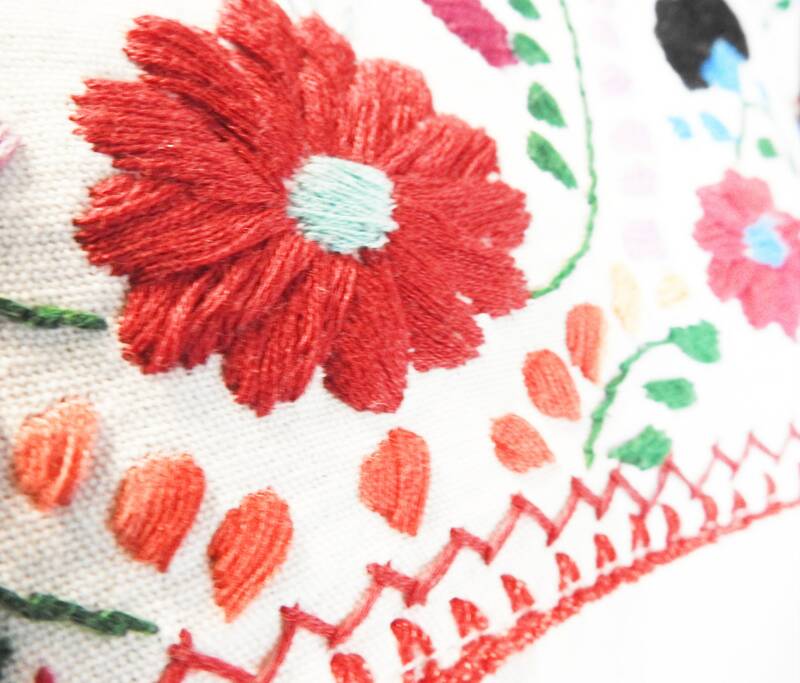 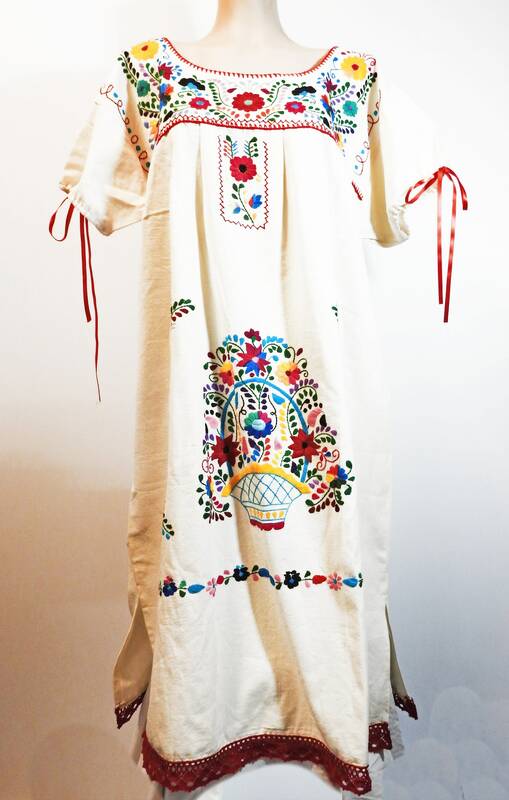 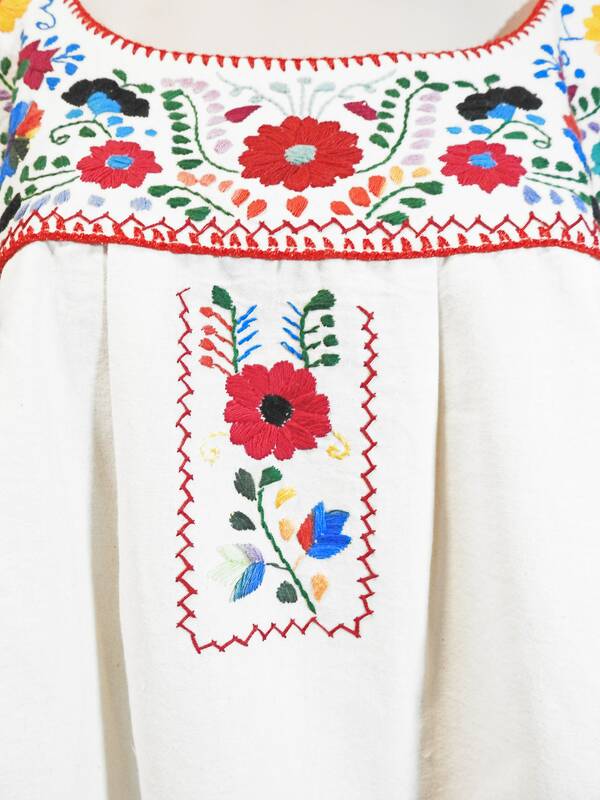 Thank you for exploring this embellished hand embroidery dress for women.